At the Olive Garden in West Hartford, CT there is a men's restroom. 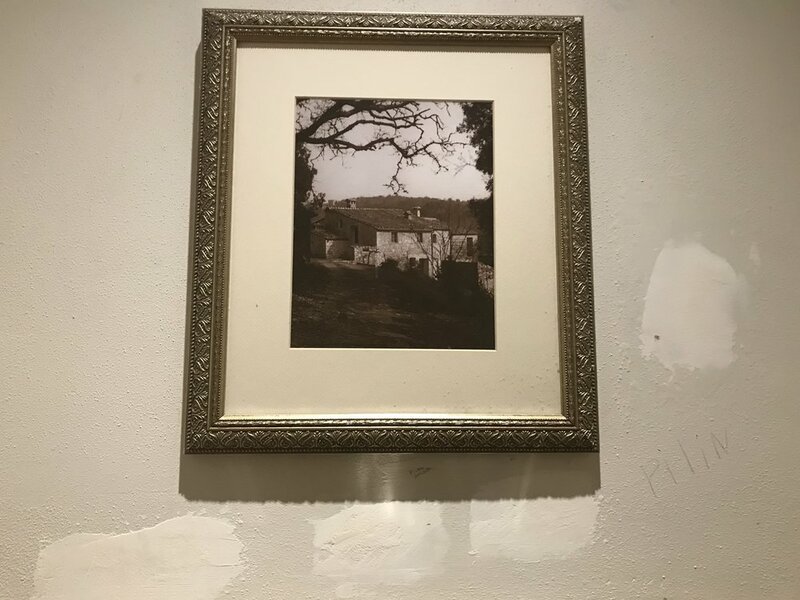 Inside that men's restroom, there is a framed photograph of a house and a tree. 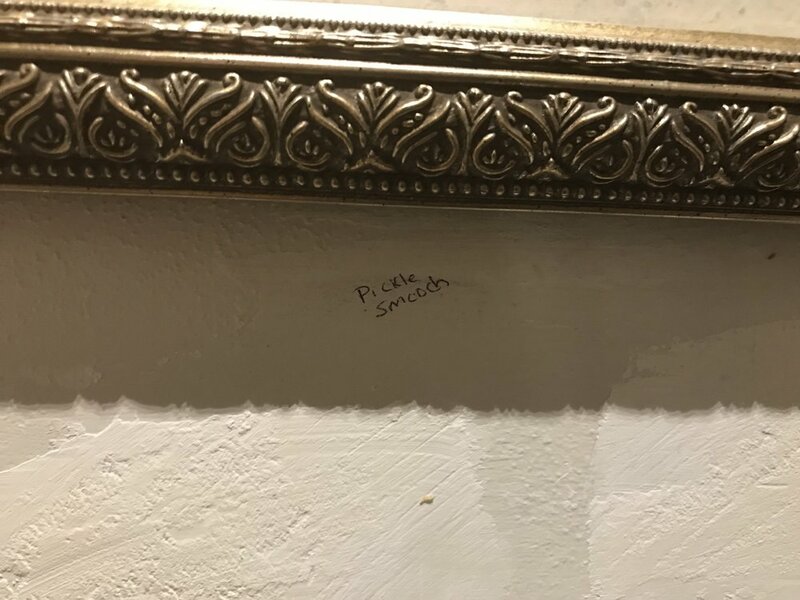 I'll never understand restaurant restroom art. Why? Below that frame are two words, scribbled in pen. What does this mean? Who put this here? 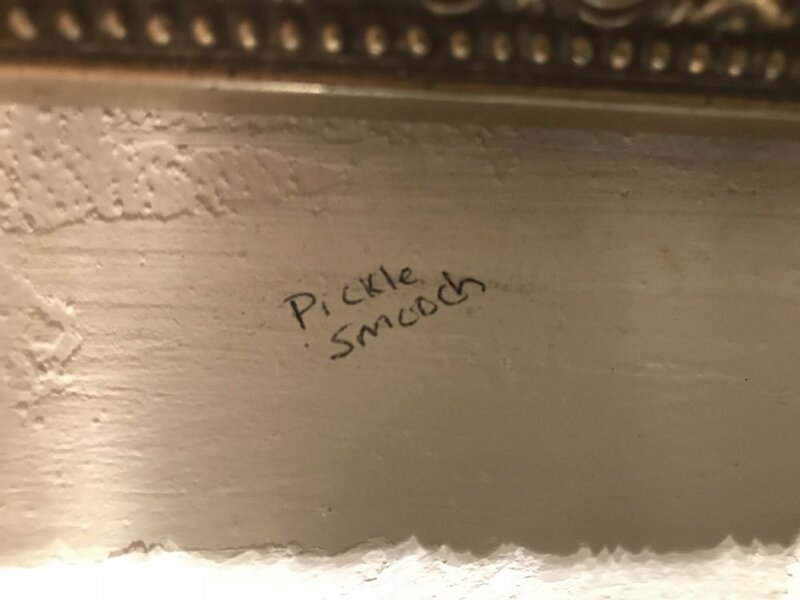 What is the story behind "Pickle smooch?" These are the kinds of things that have been known to launch my novels.